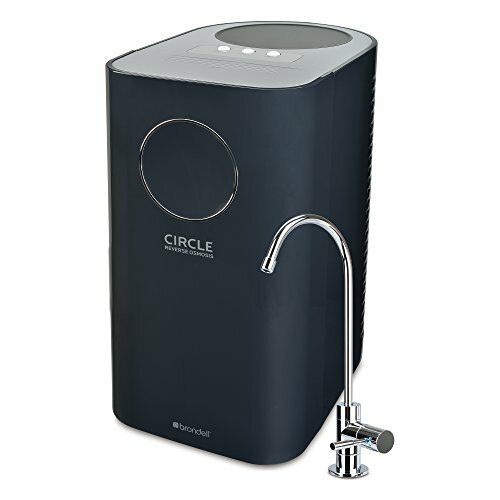 The Brondell H2O+ Circle looks very different from the vast majority of reverse osmosis (RO) filter systems. With this system, everything is enclosed in an attractive box. This reduces the number or exposed tubes under your sink and it looks a lot tidier. A lot of people are drawn to its elegant looks, but remember that it still lives under your sink. In addition to having a novel look, the Brondell H2O+ is also highly efficient when it comes to water usage. While most RO systems make about 4 gallons of waste water for every gallon of pure water produced, the H2O+ makes only a little over 2 gallons of waste water for every gallon of pure water produced. The system has what Brondell calls an “intelligent smart valve” that along with a circular reservoir, helps eliminate back pressure. This makes the H2O+ about the most efficient non-pump RO system available. Stage One: A sediment filter reduces particulate materials such as sand, rust, and fine particles from the feed water. This first helps act as a pre-filter to protect and help extend the life of the other filters. Stage Two: The Pre-Carbon Plus filter significantly reduces volatile organic compounds (VOCs), chlorine, and soluble contaminants which may damage the RO Membrane filter. Stage Three: The RO Membrane filter works by forcing water through a semi-permeable membrane. This separates water from contaminants and reduces pollutants such as heavy metals, cysts, fluoride, arsenic, and industrial chemicals. Stage Four: A Post Carbon Block filter further reduces any remaining water contaminants such as chlorine and VOCs improving the overall taste and odor of the water. Brondell provides stickers for your filters that remind you when to change them. Another innovation that this system has is an LED indicator light on the faucet that lights up when you need to change your filters. This could be very useful as the quality of the feed water is ultimately what influences when the filters need changing. The better the water that flows into the system the less frequently the filters need replacing. With the Brondell H2O+, not only are the filters modular, but the whole system is. The filters and water reservoir are all contained in a neat package that fits in the cupboard under most counter tops. The 6 liter (1 ½ gallon) tank is also enclosed within the unit. This means that even if the unit is in an exposed area it won’t look out of place. The filters are easy to change. The front of the unit opens and each filter is changed by giving it a ¼ turn by hand and pulling it out. The filters, based on 2 ½ gallons of water per day, are replaced every 6 months, although this can vary depending on the quality of the water that is fed into the system. The RO membrane should be replaced every 2 years. The faucet has a filter change indicator on it. When the water is dispensing normally the indicator will flash blue. After 6 months or 475 gallons of water is dispensed, the light will start flashing red to let you know that the filters need changing. The light is reset by replacing the battery which is included in Brondell’s filter change kit. While the Brondell H2O+ is not the most efficient RO system available, it is one of the most efficient (in terms of water wasted to every gallon of pure water produced). Others achieve better efficiency with a permeate pump. Similar units to the Brondell H2O+ waste 4 gallons of water for every gallon produced whereas the Brondell H2O+ averages 2.1 gallons wasted for every gallon produced. This increased efficiency does not affect the effectiveness of the filter and you can check this data sheet for full performance information. The Brondell H2O+ is a very easy system to install. The only area that may present any problems in drilling a hole for the faucet, but this will be the same for any RO filter system. Many sinks will have a blanked off hole or a spray nozzle that can be used for the pure water faucet. Once the outlet faucet has been located, the feed in pipe needs to be attached to a cold water supply. This can be done by disconnecting the flexible supply hose, putting the supplied ‘T’ connector on the end of the pipe and reconnecting. All the connections for flexible tubing are carried out by means of “push-fit” connectors. The waste hose is connected via a saddle connector to the existing waste water pipe. Once these connectors have been fitted under the sink, they can all be connected to the appropriate ports on the top of the Brondell H2O+. The full installation and owner’s manual can be found here. This Brondell H2O+ review showed that there can be a different approach to the design of a RO filter system than those used by the majority of other system manufacturers. This unique design removes much of the typical clutter. The feature that deserves the greatest praise is the “smart valve” and circular reservoir that makes the H2O+ about twice as efficient as similar systems in terms of wasted water per gallon of clean water produced. 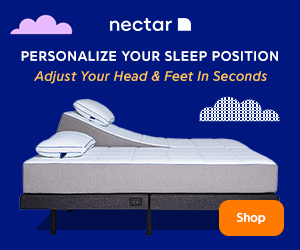 The only possible drawback with this system is for the occasional kitchen that does not have sufficient space to fit an all-in-one unit of this size.